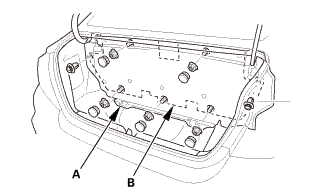 Remove the fuel filler pipe protector (A). 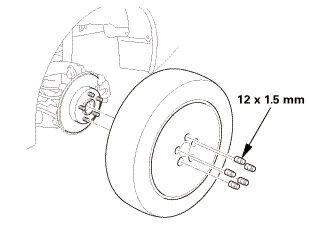 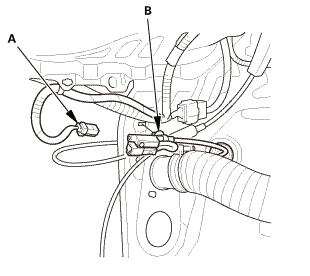 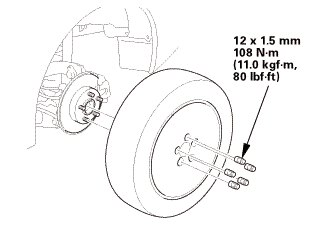 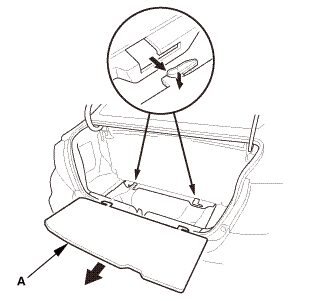 From the trunk compartment, disconnect the fuel fill door switch connector (A), and detach the harness clip (B). 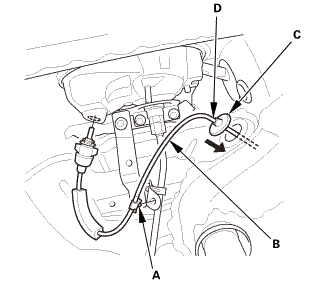 Open the fuel fill door, release the fuel fill door switch (A) by turning it 90 ° from the fuel receptacle adapter (B). 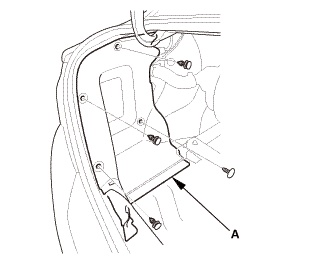 From the wheel arch, remove the clip (A) and the grommet (B), then remove the fuel fill door switch (C) out through the hole in the body. 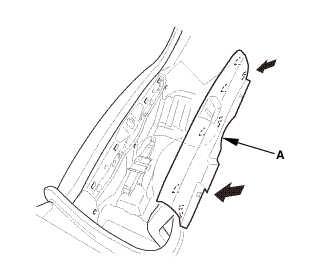 From the wheel arch, install the clip (A). 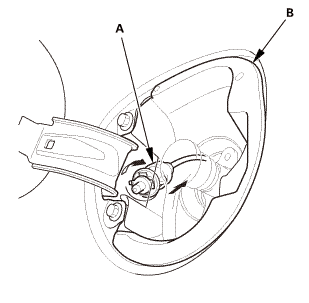 Insert the fuel fill door switch (B) into the hole in the body and the grommet (C). 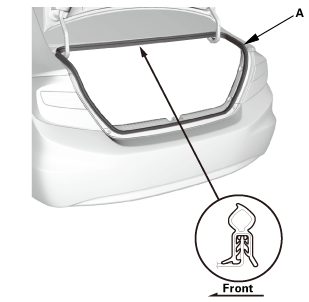 NOTE: Align the marks (D) on the fuel fill door switch with the grommet as shown. 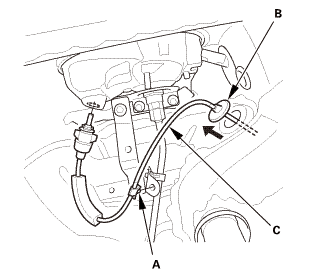 Set the fuel fill door switch (A) by turning it 90 ° to the fuel receptacle adapter (B). From the trunk compartment, install the harness clip (A) and connect the fuel fill door switch connector (B). 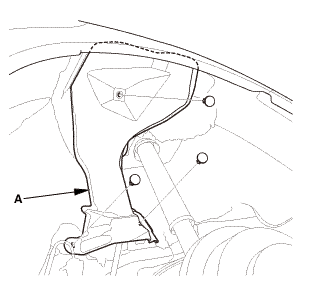 Install the fuel filler pipe protector (A).